If you have ever used the Facebook advertising platform, you know that this is one of the most cost-effective and efficient advertising platforms that has ever existed on the market. This extremely focused platform allows you to target your ad only to your specific audience. It is also simple to use, and you do not need to be tech savvy to implement an ad. However, because this is so easy, many small business owners make hasty decisions that unfortunately cause them to lose money. 1. Goal – Before you start advertising you have to determine what your goal is. Once you have decided whether it’s increasing your website’s traffic, conversion on a landing page or more likes to your page, make sure to chose the same goal on your campaign. Facebook will optimize the campaign accordingly. 2. Audience – Most small business owners use demographic criteria only (city, age, gender. language). This is nice, and important, but Facebook allows you at the same price much better segmentations such as job titles, interest areas, and more. 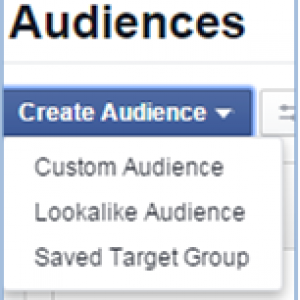 Custom Audience – Facebook allows us to upload our own customer’s list as an audience (e-mails, phones or Facebook IDs). Lookalike audience – Facebook creates a new audience that is similar to an audience you care about. E.g., – once you have created the custom audience, you can create a lookalike audience, which will consist of an audience that is similar to your customers. Please note – Defining an accurate segmentation of your audience is crucial for your campaign’s success. If you have more than one target audience, create different ads accordingly. 3. 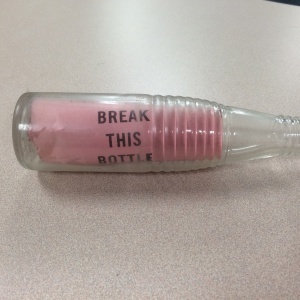 Message – Deliver a good, strong, but simple and clear message. Remember that Facebook is a social platform and that people do not join Facebook for advertising! If you want to draw your potential customers’ attention and, at the same time, avoid wasting money on irrelevant clicks, you must carefully craft the right message. A. Choose an eye-catching image – One of the most important aspects of a effective ad is a good image that draws the attention. B. Text – Use a Call to Action text on your image; however, make sure your image does not contain more than 20 percent text, as Facebook won’t approve it in that state. 5. Landing page – The landing page is the page you lead the people to who have clicked on your ad. This could be your Facebook page, your website, or a separate landing page. Determine your landing page according to your goal. If your goal is getting more likes to your Facebook page, than naturally, the landing page should be your Facebook page, but if you want to increase awareness or conversions, then the ad should lead to a page that is outside of Facebook (because Facebook had too much activity, and you will be lose your prospect easily). You should also consider using a separate landing page. 6. Measure and analyze your campaign results – Do not forget to measure and analyze the ad results regularly. This is the key to success! Check your ROI (Return Of Investment) occasionally and change the ad if necessary! 7. Last but not least, follow Facebook advertising updates continually! Facebook changes its rules, features, and functions frequently. If you want your ad to be successful for the long run, you must stay updated all the time.